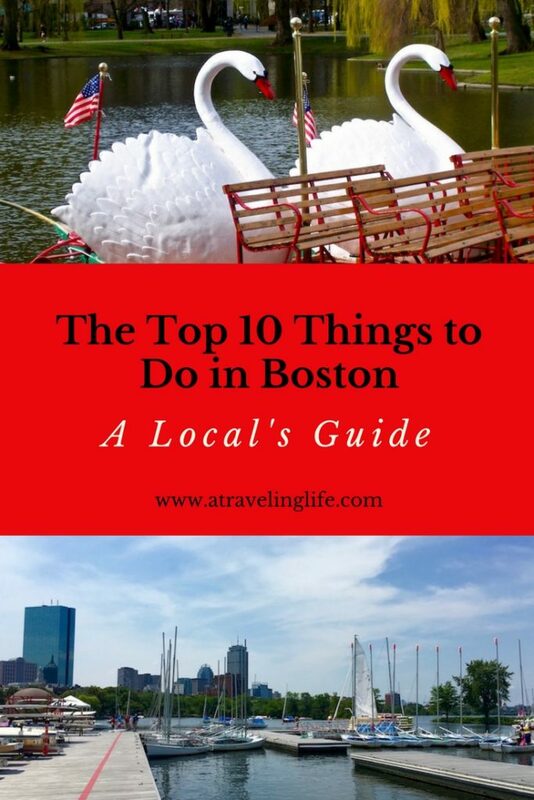 If you’re looking for the top 10 things to do in Boston, check out my local’s guide! February marks 10 years since I packed up my apartment in Washington, D.C., and headed north to start a new job in chilly Boston, Massachusetts. Over the years I’ve loved having the opportunity to show visitors all of the places that I’ve discovered as I’ve settled into my life here. 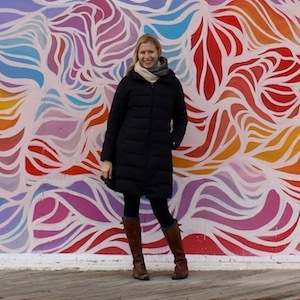 Expedia.com recently asked me to put together an insider’s guide in honor of my 10th anniversary with this charming city. 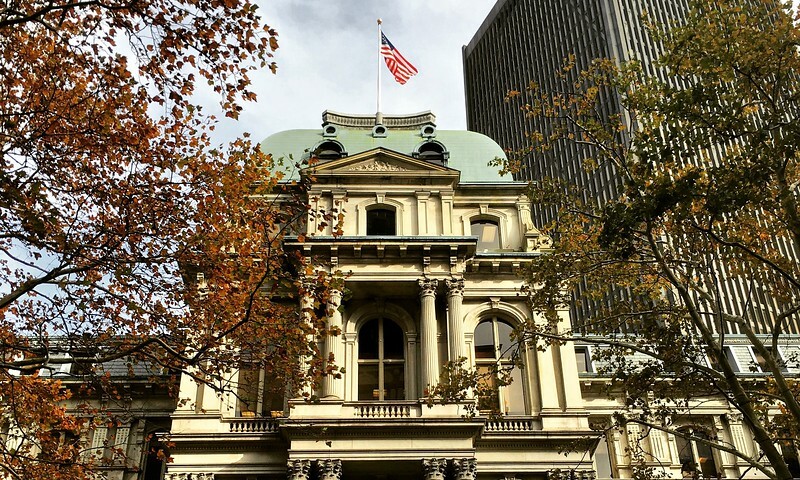 So here is a list of the top 10 things to do in Boston – based on my personal favorites – and there are five bonus favorites just for fun! These might not be Boston’s most obvious tourist attractions, but they’re places I recommend checking out if you’re looking to find some local flavor. To explore even more things to do in Boston, visit Expedia.com. The Isabella Stewart Gardner Museum is one of the most unique museums I’ve visited anywhere in the world. It houses Isabella’s eclectic personal collection in a building she designed to mimic a Venetian palazzo – complete with a stunning courtyard garden. And true-crime buffs will find it interesting that the museum was the site of the largest unsolved art heist in the world in 1990. 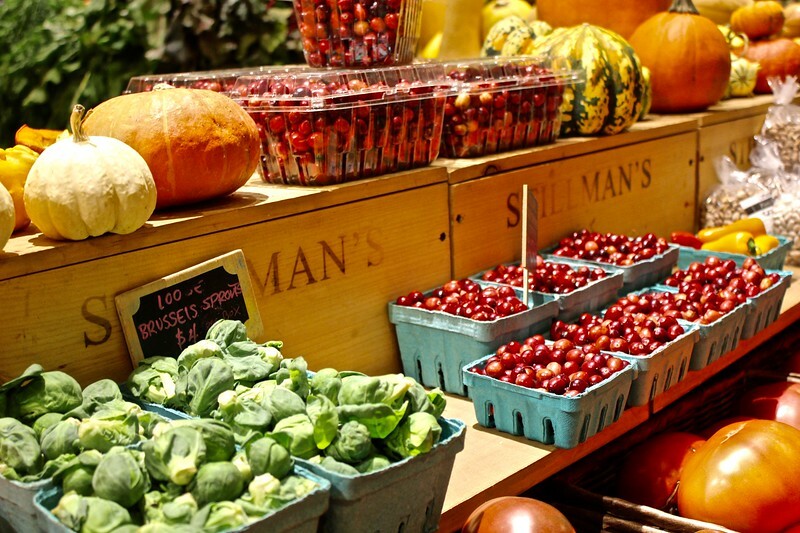 SoWa Open Market in Boston’s South End is a great place to head on Sundays during the warmer months of the year. You can stroll through galleries, antique stores and boutiques, do your grocery shopping at the farmer’s market, pick up a special gift from one of the many craft vendors, and get lunch from one of the dozen food trucks. Unlike the SoWa Open Market, you can visit Boston Public Market any time of year because it’s all indoors. Located near the Haymarket T stop, it features 40 vendors under one roof – everything from honey to craft beer to homemade pasta to plenty of locally grown fruits and vegetables. I always pick up some Q’s Nuts, and I love the mini cider donuts from Red Apple Farm. When I’m in town, there’s nothing my dog, Lucy, and I love to do more on a weekend morning than head to Castle Island in our neighborhood of South Boston. We follow the HarborWalk loop around Pleasure Bay and make a stop halfway at the island to relax and take in views of the Boston Harbor Islands and city skyline. 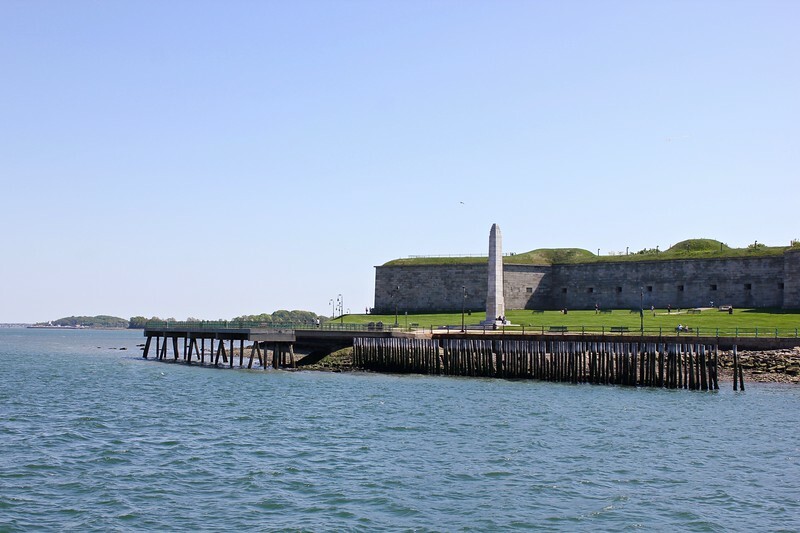 That’s also where you’ll find Fort Independence – one of the oldest British forts in North America – as well as parks, beaches and playgrounds. If you’re hungry, you can swing by Sullivan’s, a Southie institution that’s been serving burgers, hot dogs and lobster rolls since 1951. A newer addition to my neighborhood is Lawn on D, which I always describe as an adult playground. 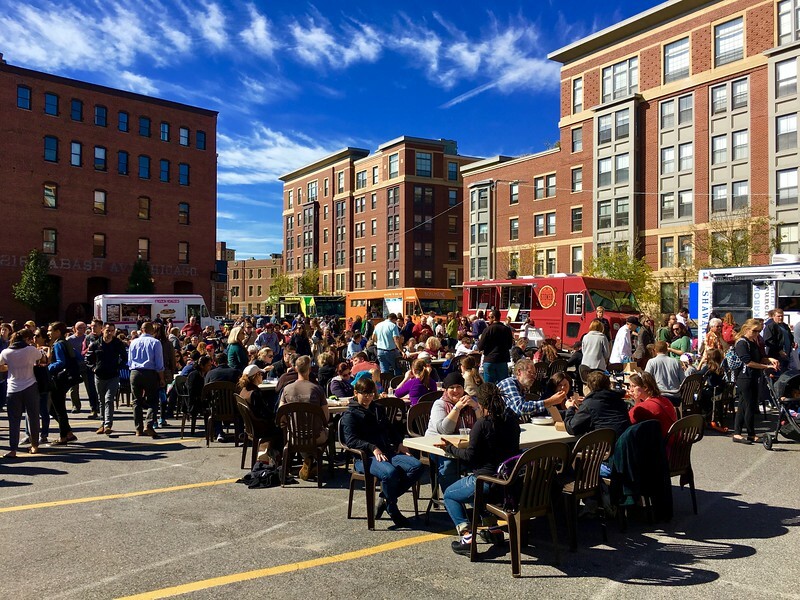 Set on a lot adjacent to the Boston Convention and Exhibition Center, it’s a one-of-a-kind space where kids of all ages can lounge on Adirondack chairs, play lawn games, swing in giant glowing circles, sample food truck fare, and listen to local bands. And the best part is that admission is free. Boston Common isn’t the only place in the city where you can get close to nature. 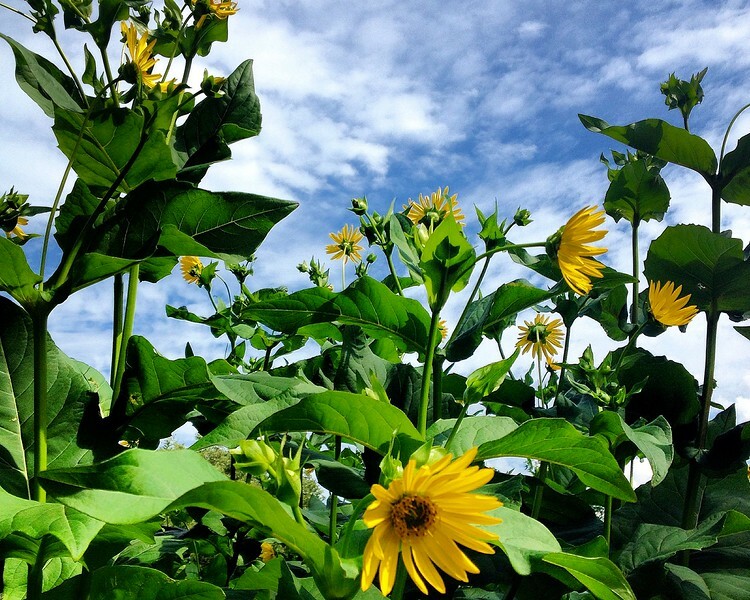 Arnold Arboretum is a 281-acre park in Jamaica Plain that is home to 15,000 cultivated plants and trees. It’s a great place to read a book, have a picnic with friends or take a jog on one of the many trails. While Sam Adams is the name most closely associated with the Boston beer scene, Harpoon Brewery has held its own in New England for more than 30 years. At its sprawling Beer Hall in the Seaport District, you can take a tour, sample a variety of its brews and snack on giant pretzels. If you want to make the most of your time in Boston, you need to get out on the water. 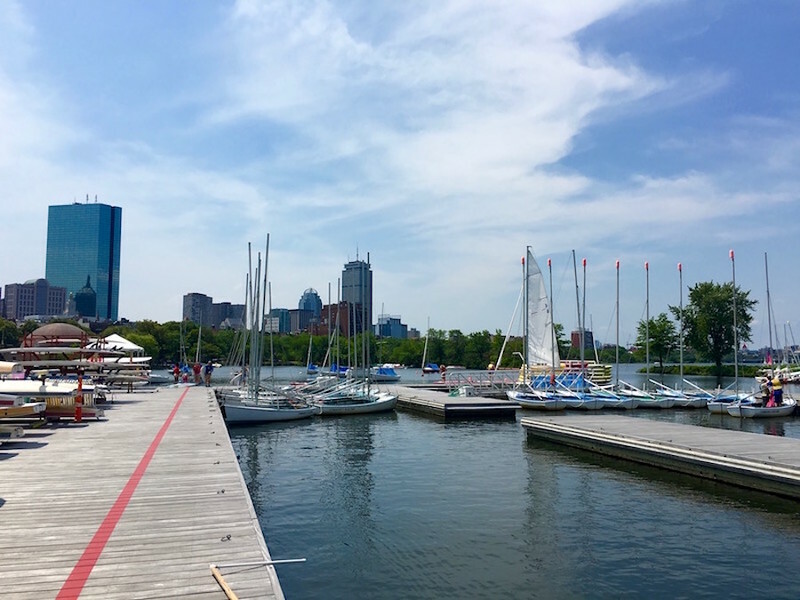 Community Boating, the oldest public sailing center in the U.S., is just a quick walk from the MGH T stop on the Esplanade. There you can rent kayaks and stand-up paddle boards by the hour to explore the Charles River and Storrow Lagoon. Or, if you’re going to be in town for a while, you can become a member and take free sailing lessons – it’s one of the best experiences I’ve had since living here. Boston Public Library, which was the first free municipal library in the U.S., remains one of Boston’s gems. Even if you’re not a reader, it’s worth a visit to marvel at its impressive architecture and vast collection of artistic treasures, or take a break from sightseeing at the tranquil courtyard. Its Newsfeed Café – right off Boylston St. – is a great place to grab a bite to eat, get work done or catch a live taping of Boston Public Radio. While I have a strong affection for Southie, I don’t think any other place in Boston can compare to the North End, Boston’s Italian neighborhood. While newer residents come and go, it still retains its old-world charm. For a perfect afternoon, I recommend wandering around the narrow side streets, popping into a shop to buy a loaf of fresh bread and watching a “football” game alongside elderly Italian men at Caffe Paradiso. And, you need to get something to eat. You’re pretty much guaranteed to have a memorable meal at whichever restaurant you chose, but my go-tos are Giacomo’s, Cantina Italiana and Florentine Cafe. Favorite Coffee Shop: Boston Brewin Coffee Co.
Boston Brewin Coffee Co. is about the size of my bedroom closet, so it’s hard to spot amid the nail salons and jewelry stores lining Broomfield St. in Downtown Crossing. However, what it lacks in size it makes up for in friendly service. I always get a chai latte, proceeds of which benefit a local women’s shelter. And all of the coffee beans are fair trade. Boston has no shortage of bars, but Drink is a place that you can go back to time and time again because you’re not likely to have the same experience twice. This cozy, below-ground spot in Fort Point doesn’t have a drink menu. Instead, you tell the bartender what you’re in the mood for, and he or she crafts a cocktail to your specific tastes. It’s definitely an experience you won’t find elsewhere. OK, so I’ve never actually stayed at the Liberty Hotel, but I’ve been there enough to know there’s no other place like it. Housed in what was once the Charles Street Jail, the hotel retained many of the building’s original details like the catwalks, ironwork on the windows and even a few prisoner cells. You can choose from five notable bars and restaurants – including the appropriately named Alibi, where you can gawk at celebrity mugshots. And one perk is that Liberty Hotel is pet friendly – Lucy and I have attended “yappy hour” together outside in The Yard. For an avid reader like me, it’s been heartbreaking to see so many bookstores go out of business in recent years. Trident Booksellers & Cafe, however, shows no signs of slowing down – its two-story building on Newbury Street is always packed from top to bottom. You can browse shelves packed with books, magazines and gifts, or sit and linger over a cup of coffee or an item from its all-day breakfast menu. 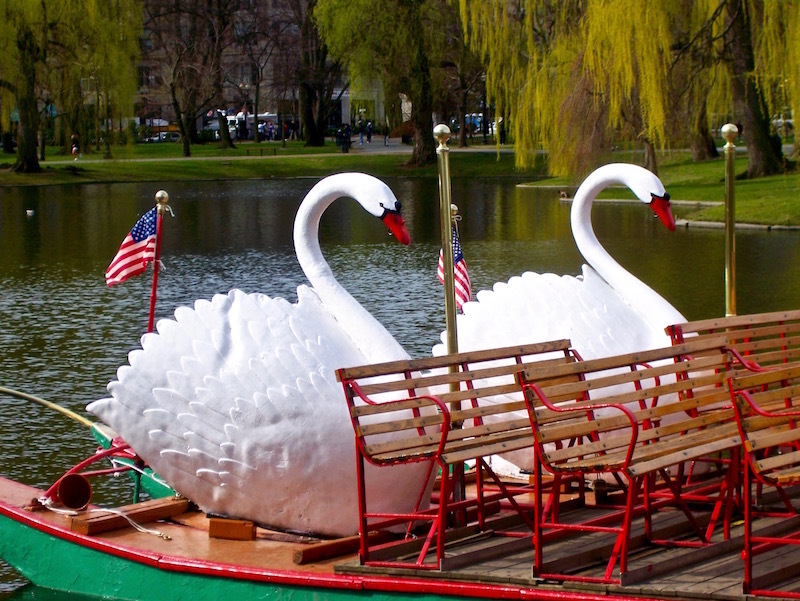 What would you add to this list of the top 10 things to do in Boston? Thank you Briannie ! That was quite extensive and better than most Boston lists! Thanks, Timothy! I’m glad you found it helpful. Oh I didn’t realize you were in Boston, we lived there until a couple years ago. This is a great list, it makes me miss Boston so much! 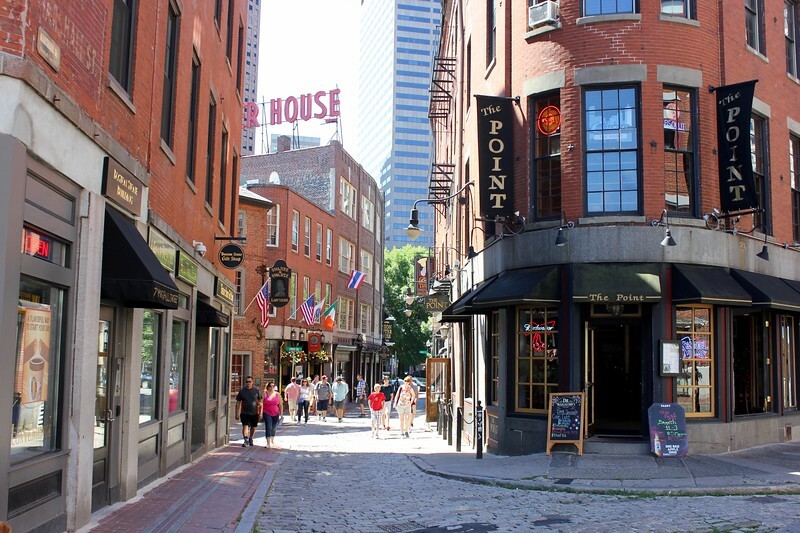 Boston is favorite for me and you’ve highlighted a few new to me places I’ll have to check out on my next trip! 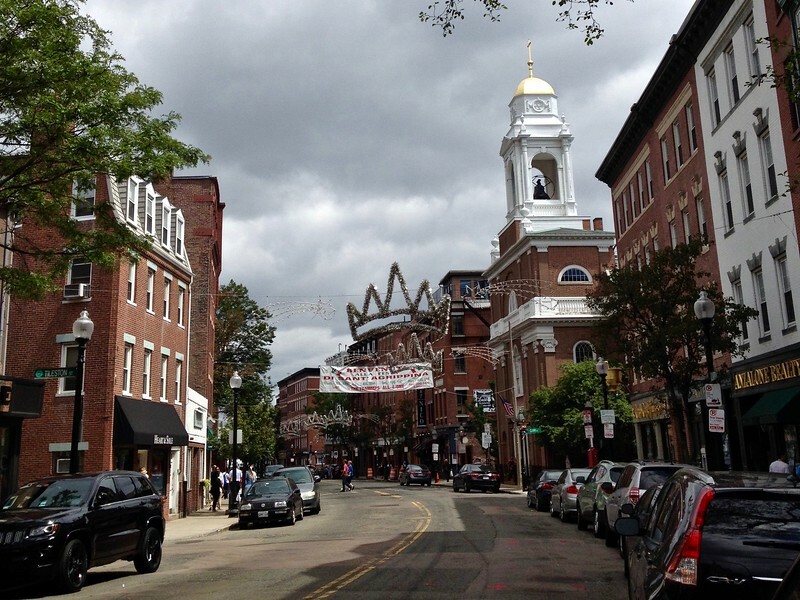 I too love the North End, my favorite stops are Caffe dello Sport and Panza. Just been once very quickly!! I visited Harvard and I saw around. Very interesting place and I would love to come back. Of course your advices are really helpful. 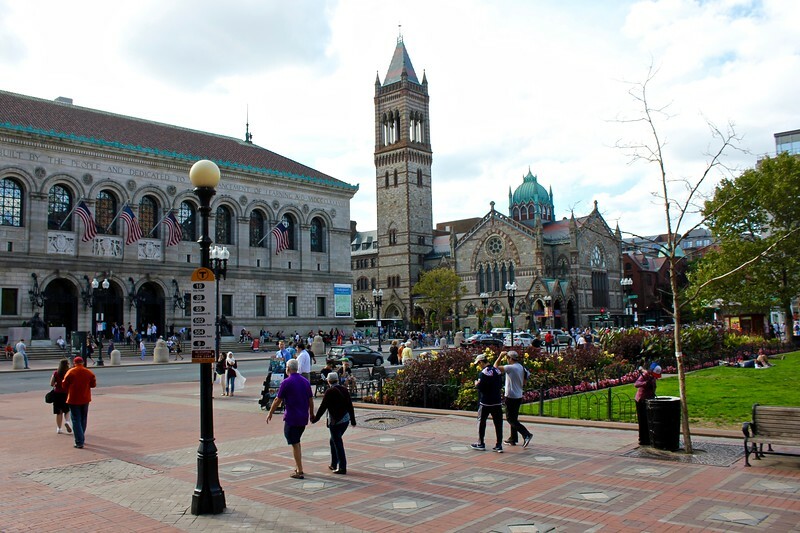 Harvard Square is a great place to check out! I hope you do get back to Boston soon. Yes, there is so much to do here! I can’t wait until the weather gets warmer, and I can head back to SoWa and Yankee Lobster too! Beautiful place to visit and I had a great experience over there. Delicious food thanks for the post. I really like it. Thanks, Denis, for reading! Glad you enjoyed my hometown… I think it’s a pretty special place.